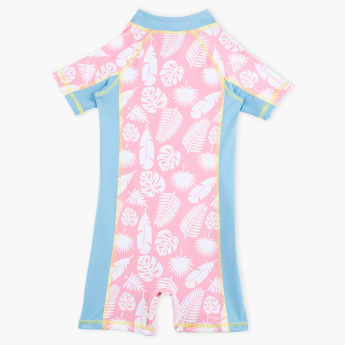 Ideal for your little kid to swim with comfort, this appealing romper swimsuit is a must-have. 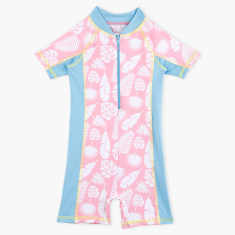 Designed with short sleeves and zip closure, it will lend a great fit. The print adds to the look.